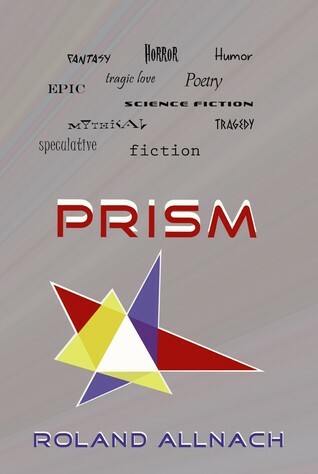 'Prism' presents the best of Roland Allnach's newest stories together with his most acclaimed published short fiction. These selected stories fracture the reader's perceptions among a dazzling array of genres and styles to illuminate the mysterious aspects of the human experience. I seem to be on a semi-serious short story fiction kick, and I can't say that I'm hating it. Allnach's fresh batch of tales weren't as intriguing as the ones I enjoyed in Oddities and Entities, but there's no denying this man's ability to write the hell out of a 5-page narrative. I only enjoyed about half of the stories this time around, and that was literally the first half—the second half consisting of the meatier tales, and even one written entirely in verse. Unlike his other works, Prism was a mash-up of genres, though all still heavily steeped in the things that make us innately human, and at times, not so human. I'm not ashamed to admit that my favourite narrative ended with a character consuming a human heart. There is something so disturbingly refreshing about Allnach's writing, something so unabashedly addicting. The opportunity to question your own desires was so enticing, but the fact that you got to delve into the perverse desires of others is what kept me hooked. When I arrived at a tale that had a child carefully tracking his way to the bathroom in the middle of the night, I was reminded of my own fears of having to pee at 3AM, of the monsters that were undoubtedly waiting under MY bed. I want to use the word 'relatable' to describe Prism, but I can do better than that. This book was instinctive, and deeply rooted to the human soul. It was like the brain splayed open and unattended, unfiltered. I only wish that the entire book consisted of stories that I could have kept on reading forever, but unfortunately Allnach lost me at the half point. I couldn't stay present in the longer narratives—one of which centred around Greek mythology—and especially not when it got to a versed story entitled "Of Typhon and Aerina". But that was the beauty of this collection, it was the epitome of the cliched idea: "there was something for everyone." The second half that I disliked, could easily become another reader's favourite half. I foresee even greater things for Allnach, and I can't wait to be a part of it. 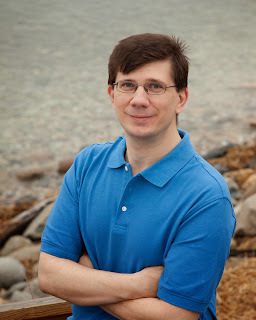 I've been writing since my early teens, first as a hobby, but as the years passed, more as a serious creative pursuit. I'm an avid reader, with my main interests residing in history, mythology, and literary classics, along with some fantasy and science fiction in my earlier years. By nature I have a do-it-yourself type of personality, and my creative inclinations started with art and evolved to the written word. Since making the decision to pursue a career as an author, I've secured publication for a number of short stories, received a nomination for inclusion in the Pushcart Anthology, built my own website, and in November 2010 realized publication for an anthology of three novellas, titled Remnant, from All Things That Matter Press, followed in 2012 by my second anthology, Oddities & Entities, also from All Things That Matter Press. Both books have gone on to receive a number of national awards, including National Indie Excellence Awards, Readers Favorite Book of the Year Awards, and USA Book News Best Book Awards. My writing can best be described as depicting strange people involved in perhaps stranger situations. I prefer to let my stories follow their own path. My writing is sometimes speculative, other times supernatural, at times horror, with journeys into mainstream fiction, and even some humor- or perhaps the bizarre. Despite the category, I aim to depict characters as real on the page as they are in my head, with prose of literary quality. My literary inspirations are as eclectic as my written works- from Poe to Kate Chopin, from Homer to Tolkien, from Flaubert to William Gibson, from Shakespeare to Tolstoy, as long as a piece is true to itself, I'm willing to go along for the ride. I hope to bring the same to his own fiction. Thank-you to Trish from TLC Book Tours for hosting this tour, and to All Things That Matter Press for sending me a print copy to review! CLICK HERE to follow the rest of the tour. I love discovering authors at the beginning of their career!